St. John’s is the closest Canadian province to Europe, and has the same latitude as Paris and Seattle, which means St. John’s harbour is a haven for transatlantic travellers and a bustling commercial port. If coming by car, Marine Atlantic Ferries depart from North Sydney, Nova Scotia and arrive on the west coast of the island at Port aux Basques or on the east coast in Argentina, NL, which is a scenic two-hour drive from St. John’s. If you would like to tour St. John’s and area, car rentals are a great option. 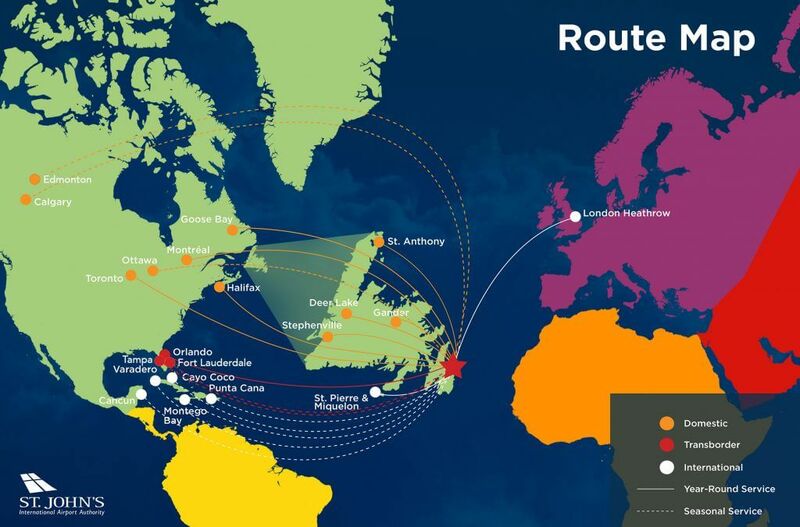 You can also fly on one of the many carriers into St. John’s, including: Air Canada, Porter Airlines, PAL Airlines, Sunwing, Air Transat, and WestJet. Your Guides A guided tour is the perfect way to experience the authentic colourful culture of St. John’s.